Well it's certainly been great to see the sunshine out this week and the weather forecast is set fair for the next week or two, after a long wet winter it's a relief to finally enjoy some decent weather and the evenings are also getting lighter with the clocks changing in just over 2 weeks. The Masters at Augusta represents the starting point of the season for many golfers and it's now only 27 days until the start of the Masters. 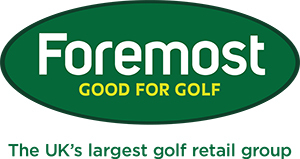 Look out for our popular Masters sweep stake in the pro shop, tickets are £2 each with the winner receiving a £150 shop voucher and a £50 voucher for the runner up. If you would like to try any of the awesome new TaylorMade range we have a fitting day coming up on 18th March from 3-8pm. You can receive a FREE custom fitting session from an expert fitter and there will also be special offers on the day! Click here if you would like to book a slot as they are going fast! Further to this TaylorMade have come up with a great consumer offer. If you purchase a new SLDR or JetSpeed driver in March or April it comes with a complete 30 day money back guarantee. It's a great offer showing just how confident they are in the performance of their products. It really means that you have nothing to lose! There will be more details to come, but it's a fantastic offer by TaylorMade so take advantage while you can. 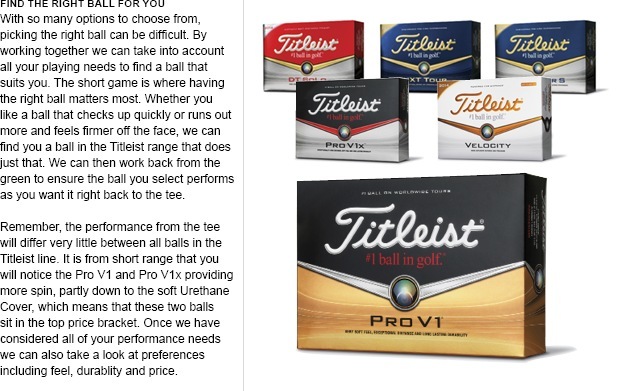 Titleist have a great offer on at the moment, normally ProV1 golf balls are £39.99 however if you buy 3 dozen you get a fourth dozen for FREE, meaning that they work out at £30 a dozen! This isn't all - you can also have them personalised with your name on. So you will have a unique ball that your playing partners will not have and also if you lose a ball you may get it back as it will have your name on! Due in the shop next week is another hotly anticipated release - the latest SM5 Titleist Vokey wedges. Many of you will know that the Vokey wedges are the number one selling wedge in golf and used by the vast majority of tour players. I'm sure some of you will be thinking how much technology can there be in a wedge and what make Vokey wedges so good compared to the rest? There are many good wedges on the market but there are a few key factors that separate Vokey wedges from the rest. In production each head starts off as a smooth piece of steel that is double fly cut then every groove is individually cut in to the face (as opposed to all the grooves being cut with a stencil in one go) with variable depths and amount of grooves depending on the clubs loft (higher lofts have more grooves on the face). Then the bottom part of the face, where impact occurs, is heat treated in what's called a 'mini forging' process. After all this every wedge and its grooves are 100% CAD inspected. The Vokey clubs are the only wedges on the market that involve such a rigorous production process and the result is maximum performance, spin and shot control. The new SM5 has a slightly rounder shorter shape than it's predecessor and offers an even wider range of finishes, lofts, bounce options and sole grinds. 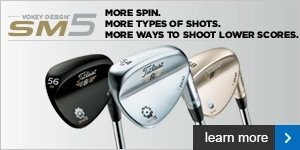 I would encourage you all of you to come in to the shop and ask to try our demo Vokey wedges out on the range as they really are worth testing. We can also give you some advice on what lofts, bounce and grind options will suit you and help you save many shots around the greens! We will also be offering a personalisation service on the Vokey wedges, you can have up to 5 letters stamped on the back of the wedge. If you would like to enquire about this please click here. Having now done a number of driver fittings with the new 2014 club ranges from leading manufacturers such as TaylorMade, Callaway, PING and Nike there is definitely a common theme emerging. 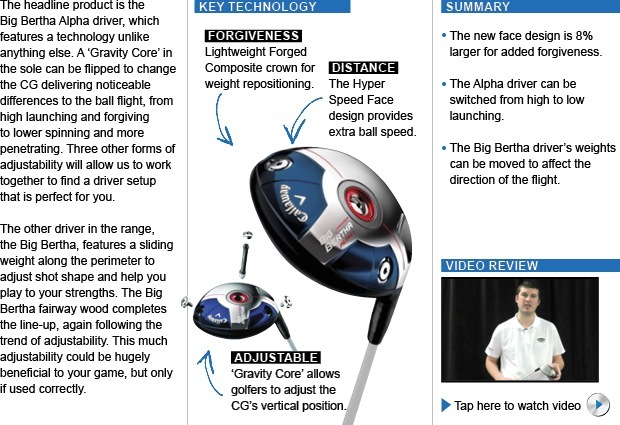 In order to get the best out of a new driver the new golfer needs to 'loft up'. The old days of using 8 or 9 degree drivers have now gone as modern driver design is to get weight and centre of gravity a lot further forward in the driver towards the face, for this reason the latest drivers do launch the golf ball lower and for most people to get the optimum distance they need to go higher in loft to obtain the best launch conditions. With old driver design higher loft also resulted in higher spin which robs you of distance, this is not the case now and I did a fitting for a golfer the other day where a 14.5 degree driver gave him the most distance, he had previously used a 12 degree driver and the most common loft of driver we have fitted so far this year is 13.5 degrees. The higher loft also reduces side spin so you will not see your shots disappearing off into the rough, I would bet as much as 75% of you are using too little loft in your current driver, if you want to ask me about this or anything else to do with equipment don't be scared please ask me we are here to help you play better golf! Well done to Bob Bowen who scored his first hole in one on Saturday. He did this using a 5 iron on the second hole and didn't even realise the ball had gone in until he checked the hole! Captain Ian Daines was playing the third hole and walking past when it happened, however it did cost Bob a few pounds in the bar afterwards! Just a few days later Peter Earlam scored an ace on the seventh hole playing in the Seniors Tuesday morning roll up, this was his second hole in one in just a few months so very well done Peter! We would also like to offer a warm welcome to new members who joined last week - David Simpson and Barbara Wyatt, welcome to the club. There is a competition this Saturday and the weather should be great, the March Bogey is starting at 11am. Captain Ian Daines and Steve Hulse represented the club in the Daily Mail Foursomes knockout competition. On Saturday they played their first round match at home but unfortunately lost to a pair from Frodsham Golf Club. The Seniors AGM and prizes presentation will take place on Tuesday 25th March at approximately 12.30pm after their usual nine hole roll up. The Ladies AGM took place last Thursday evening and a total of 34 ladies attended which was a fantastic turn out. Retiring Lady Captain, Kath Hough, thanked lady members and the ladies committee for supporting her so well during her year as Lady Captain and we would like to say what a great job she has done over the past 12 months. She wished the incoming Lady Captain, Jill Bebbington, every success for 2014/2015. There are now over 50 lady members and the number and variety of competitions offered have increased every year since the ladies section started in 2007. A number of topics were discussed at the meeting, including a constitution for the ladies committee, and the balance between Thursdays and Sundays for ladies competitions. Prizes were presented to the winners of the Di Sommerville Vase, the Ladies Eclectic and the winners and runners-up in the Pairs Knockout. Check out the image of all the 2013/14 winners who were present on the evening. The draw for the Ladies Spring Singles Knockout also took place and is now posted on the ladies notice board. The Lady Captains Drive In takes place on Saturday 22nd March at 12pm followed by a nine hole competition and the entry sheet is already filling up. It's open to both members and non members and would be great to see as many ladies as possible attending the start of Jill Bebbington's year as Lady Captain. We are continuing our green fee offer for a fourball of golfers until the end of March, again I must say we have one of the best winter courses in the area that drains fantastically well and our full USGA greens have been and will remain in play all year round, the offer means you can play for as little as £8 a round! See the table for our 2014 gree fee fourball prices. As a Hartford member you can now also show your membership card at Pryor's Hayes and receive discounted rates on your green fees. This will also be the case vice versa for Pryors Hayes members playing at Hartford Golf Club. Prices can be seen in the table. We are also introducing a very flexible 'Points for Golf' membership where you can buy points to be used for rounds of golf. This is ideal for the occasional golfer or someone who wants to try a membership option to see if they like it. Furthermore don't forget that members enjoy discounts in the shop and on the driving range so there are many benefits to being a member. Dual membership at both clubs works out at less than £15 a week - exceptional value I am sure you will agree! Thanks to the good weather our Head Greenkeeper Andy decided to bring maintenance week forward by a week to this week. On Monday and Tuesday they micro-tined all the greens including the practice putting green and on Wednesday and Thursday top dressing was carried out. Andy was pleased to be able to get this essential maintenance done early and it means that in the next week or two the grass will be growing and greens will be in their usual pristine condition for the start of the season! The Callaway Big Bertha woods are back, and with more adjustability than ever before, you've got a great opportunity to find a set-up that's right for you. I'm here to help you on that front. For now, let's take a closer look at the line-up. 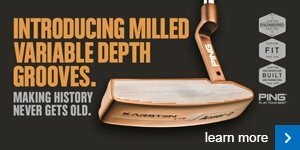 See me about how we can make this adjustability work for you and help you enjoy better golf. It's so important to play with the right golf ball for your game and so easy to make the wrong decision. Come and have a chat with us about the new Titleist golf balls so we can find your perfect model. 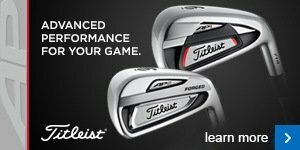 Now that you know more about the Titleist range, come and speak to us about finding the right ball for your own swing so you get the right performance benefits you need.